Heat oil in medium Dutch oven or large saucepan on medium-high until hot. Saute onion and leek until onion is translucent, 4 minutes. Mix in carrots and apple. Tightly cover pot, reduce heat, and cook gently until vegetables give up most of their juices, 8 to 10 minutes. Add broth. Cover and cook until carrots are very soft, about 30 minutes. Let soup sit, uncovered, about 20 minutes, to cool slightly. 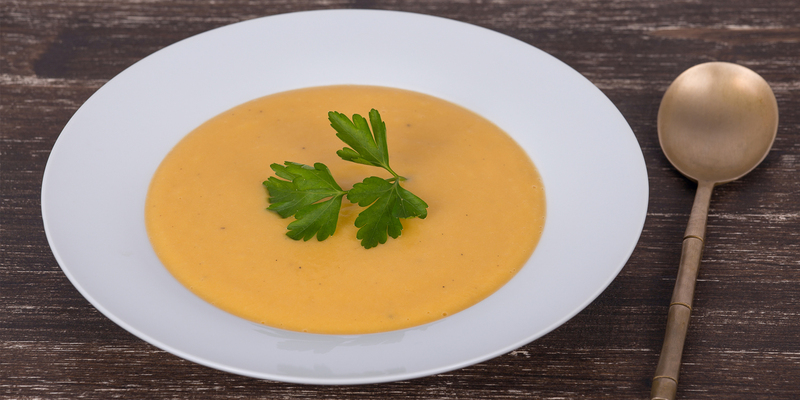 Purée soup in a blender or food processor, if necessary in two batches. (Blender makes a smoother soup.) If soup is too thick, add milk or broth, as desired. Season to taste with salt and pepper. Serve garnished with mint.